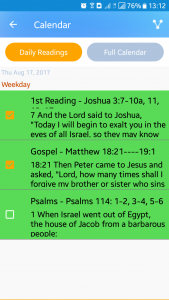 This liturgical calendar 2017 & liturgical calendar 2018 application enables you to access daily readings of the Roman Catholic Church from your phone for the highlighted years and even more to come in the future. 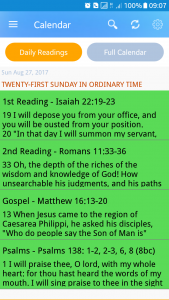 The daily Catholic church readings are color-coded according to the liturgical color of the day; the same colors you will find being prominent in the church, altar and clothes of the mass leaders. 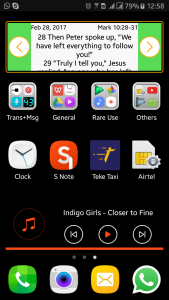 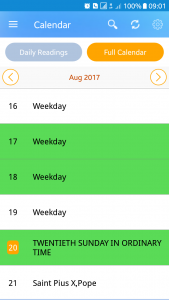 Hence, the calendar colors on both the application views and widget are not random but in accordance with the Church. 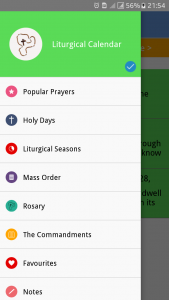 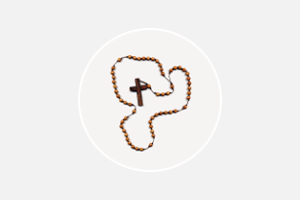 The app also has added features such as Further access Catholic prayers, general Christian prayers, liturgical seasons, church holy days among much more!